Happy Saturday everyone! Who's pumped for the three day weekend? I know I am, I've been a real slow-poke with getting my trip photos organized so the extra day off of work will be nice. Hoping to get them all done, but I've got our first city ready to share today (still no word on our camera in Copenhagen). 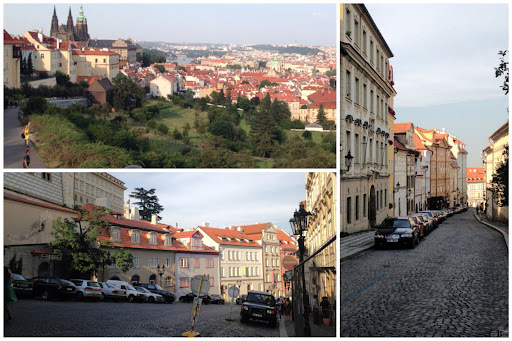 Here's a look at Prague from our visit along with a his & her take and some tips on the city- Scroll to the bottom for that. Alex and I had fun answering the questions separately and surprised each other with some of the responses! 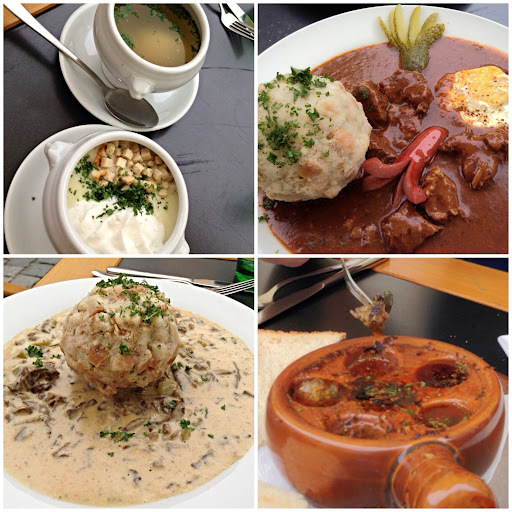 Garlic soup, escargot, and goulash at Kocar z Vidne Kutsche was definetly a favorite meal in Prague! 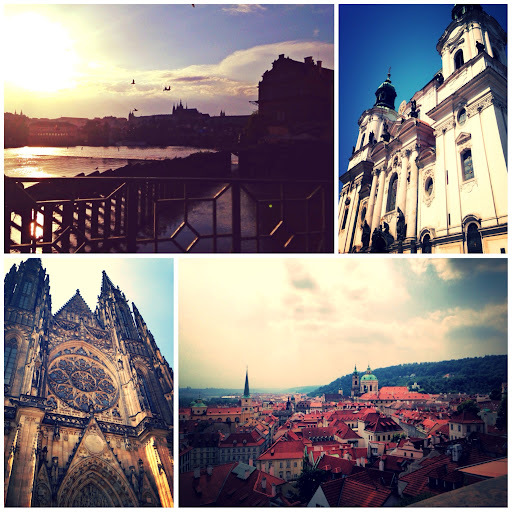 What was your favorite moment in Prague? 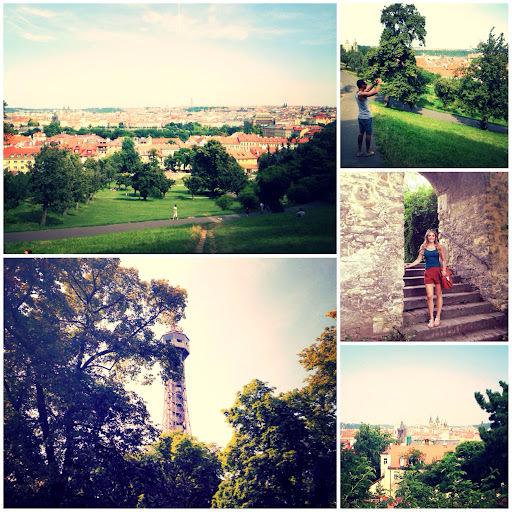 Alex: My favorite moment in Prague was one that could be experienced in most European cities- sitting in a public park with an adult beverage, just taking it all in. I don't think we take enough time to slow down and enjoy things in America. 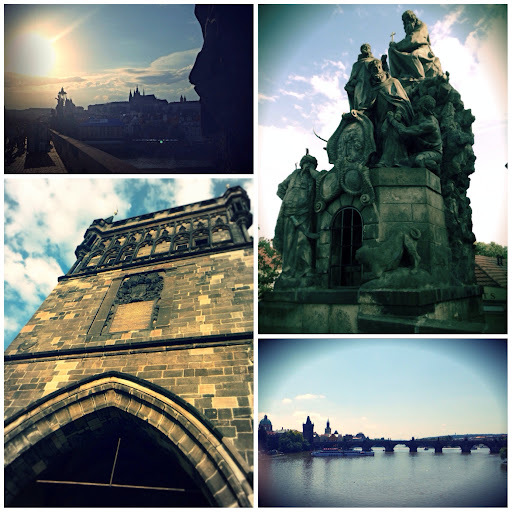 Sitting quietly at the foot of the St. Charles bridge was soothing and surreal. 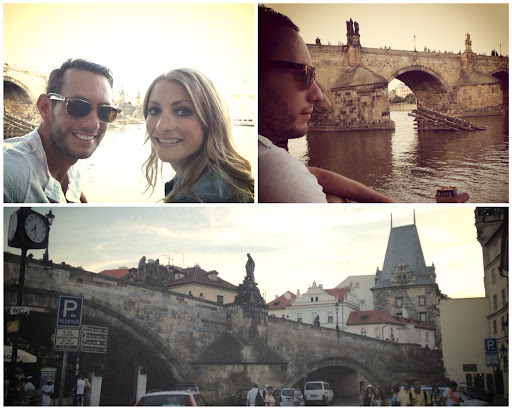 Carla: After our long flight there, we checked into our hotel and headed up to our room. 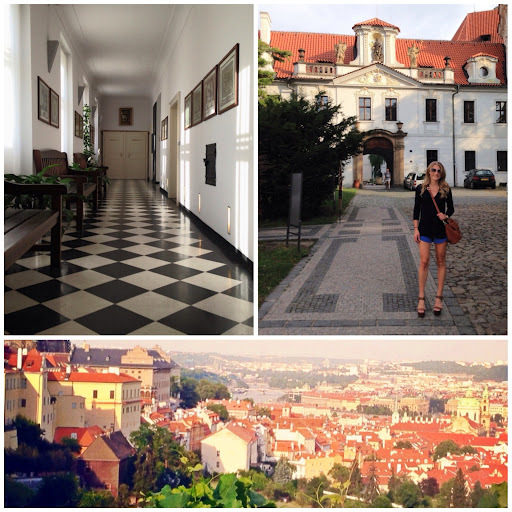 Once in the room, I dropped my bags and walked straight to the large open window and got my first real view of Prague- my favorite moment. 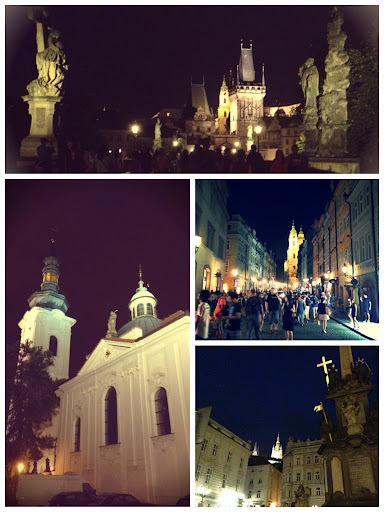 The city was breathtaking, stunningly beautiful and it felt so old world romantic. It felt as though I stepped back into a fairy tale, especially when a nearby clock tower began to ring! Favorite moment for me, I will never forgot that first glance overlooking the city from our windowsill. 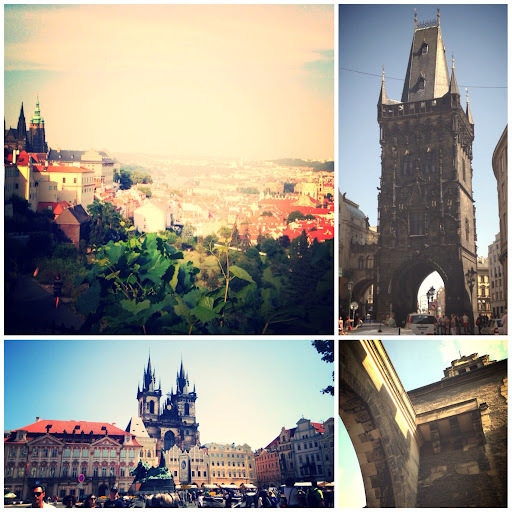 What surprised you about Prague? Alex: It was packed. Sure, we were there in August, but it was really busy. I shouldn't have been surprised but I was. The city itself was quiet, splendid, and reminded me of a fairy tale still. Carla: Honestly, there wasn't tons to do- and I say that perhaps because we were there for four days and probably only needed two or three. 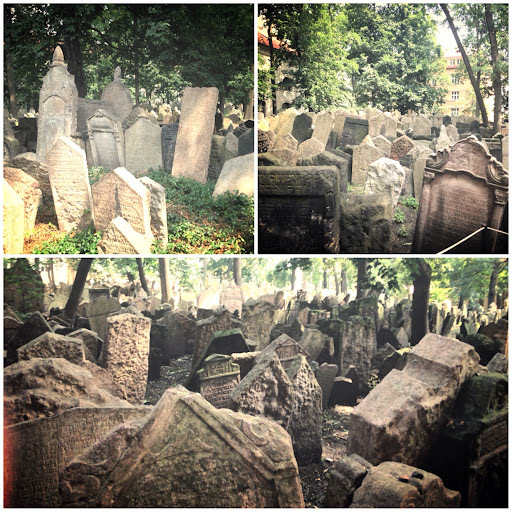 We saw all the sites on our list at the end of day two really and then just enjoyed wandering around. I know it might sound dumb, but that's what surprised me. 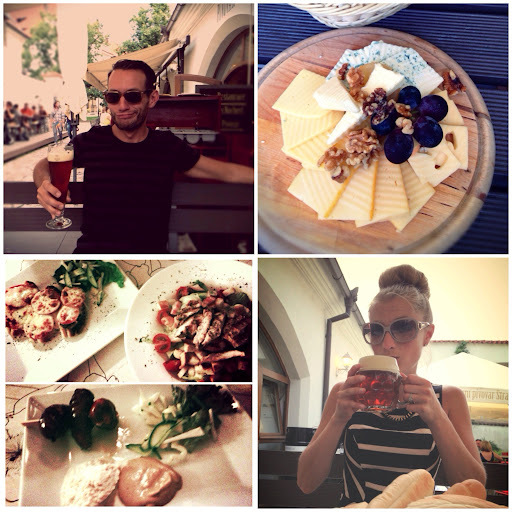 What was your must-try menu item while in Prague? Alex: I had a traditional dish made of pork heart, tongue and liver in a creamed sauce that was quite good, but my favorite- and a must try- was simple street food we found in the center of the Old Town Square. Potato Gnocchi with Sauerkrat and ham... So good! This is a recipe that I will bring home! 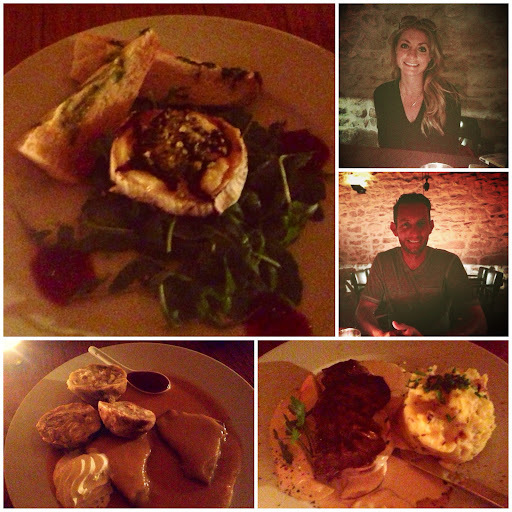 Carla: I wanted to try some traditional Czech dishes even though some were foods I normally dislike. Goulash for example, normally something I hate, but the goulash in Prague at Kocar z Vidne Kutschene was my favorite in Prague! The restaurant is just below the St Charles Bridge on the Mala Strana side and mixes Czech and Austrian cuisine, it was fantastic! Alex: Slow down! Be willing to explore and take it in. Stray from the usual restaurants and try something daring. I love cities that are on rivers- you can't get lost, just go find something and the river will guide you back. Carla: Get a lot of cash out of an ATM once you get there because a surprisingly high amount of restaurants, businesses, and tourist stops DO NOT take credit cards. It got kind of annoying after several ATM withdrawals knowing we were being charged an international fee each time, small but it adds up! If you go, keep cash with you! Alex: I would go back for the Turkish coffee and the relaxing vibe. Prague isn't huge so feel free to take an afternoon nap or sleep in a bit. It's a great place to kick-off a multi-city trip. 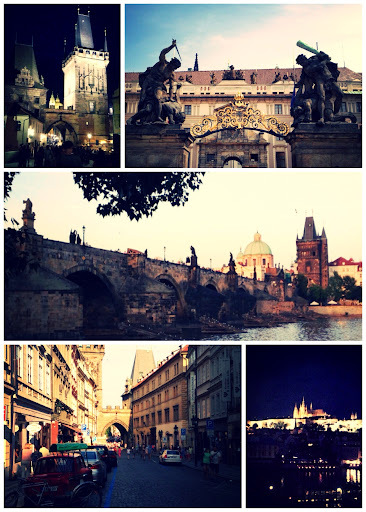 Carla: I would go back to see the beauty of the city in the late fall or winter months. 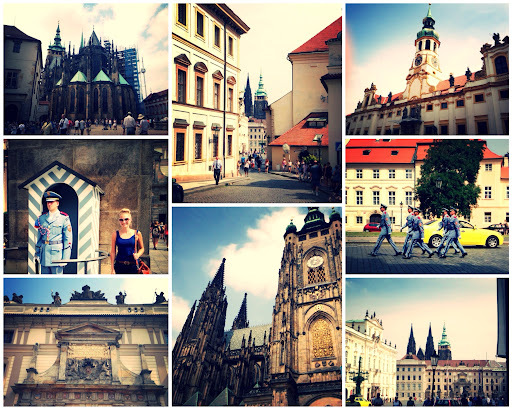 Everything you read about the city's beauty is true, it's different than other European cities in so many ways. I'd love to see that beauty in different seasons- I imagine it'd also be less busy and tourist-y in those months!